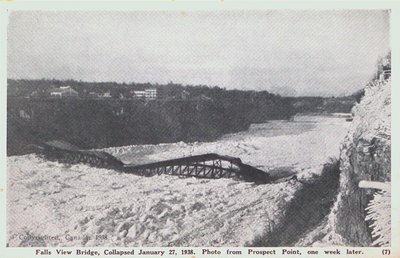 A postcard of the Falls View Bridge after its collapse. 1938. Published by F.H. Leslie, Limited, Niagara Falls, Ontario. Printed in Canada. Falls View Bridge, Collapsed January 27, 1938. Photo from Prospect Point, one week later.